Here is a very simple but highly useful accessory I made from a 13x13x40 mm block and a broken end mill. And here’s a 76x140mm flated surface. There was some vibration due to the unbalanced rotating mass, something that I fix later adding a simple counterweight. And of course I took advantage of a not-perfectly trammed head to get a nice finish (about 15um less in the middle, not bad). Finally a picture showing how useful is the side plate. In the last working round I just note some upset behavior related to, I guess, thermal expansion. The DOC can increase, easily, 0.02mm after a couple of millimiters of feed. You can learn to deal with this, but now I think that a bigger mass cutting bit it’s a better idea (of course this doesn’t matter if you use coolant). Anyway, no matter what flycutter you use, I think a double finishing pass it’s always a good idea (0.03 and then 0.02 mm for example). Nice work. 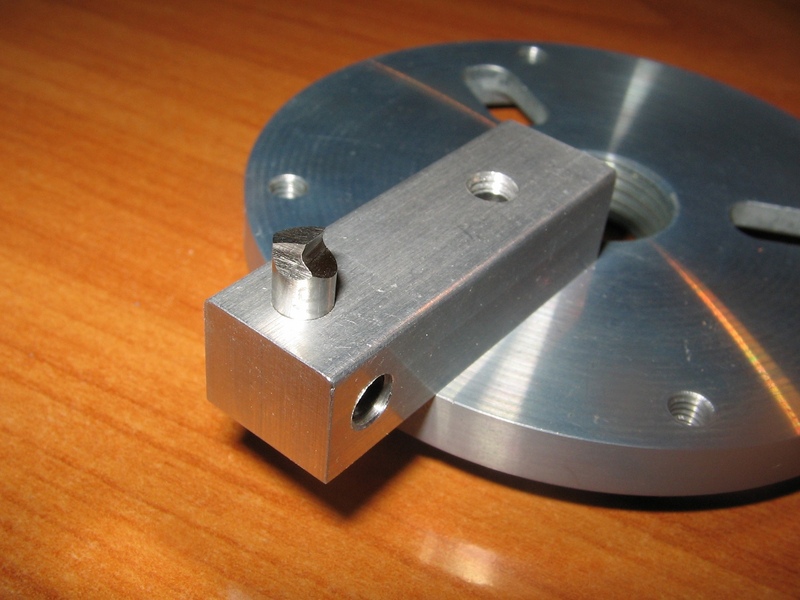 I’m wondering, why the piece of aluminium to hold the cutter? So far most I saw mount the cutter onto the disc directly. A big disc with a cutter was what I wanted at the beginning. Sherline faceplate it’s not thicker enough, so I had to machine a new disc (3/8″ or more). But then I realize this solution was more simple. What depth of cut, RPM, feed rate did you run this at? Up to this point I’ve used this to finish construction blocks for my cnc mill. DOC: 0.1 F: 2 mm/sec 2000 RPM for “roughing” cuts and DOC: 0.02 F: 1 mm/sec 2500 RPM for finishing (more or less). Even with the Sherline fly cutter I never take more than 0.15mm. Anyway I think this design is something flawed (just read update). There’s plenty of info on the web about tool geometry. But basically this tool has pretty much a right-hand lathe bit shape. I was wondering what you thought, if I combine the two projects. 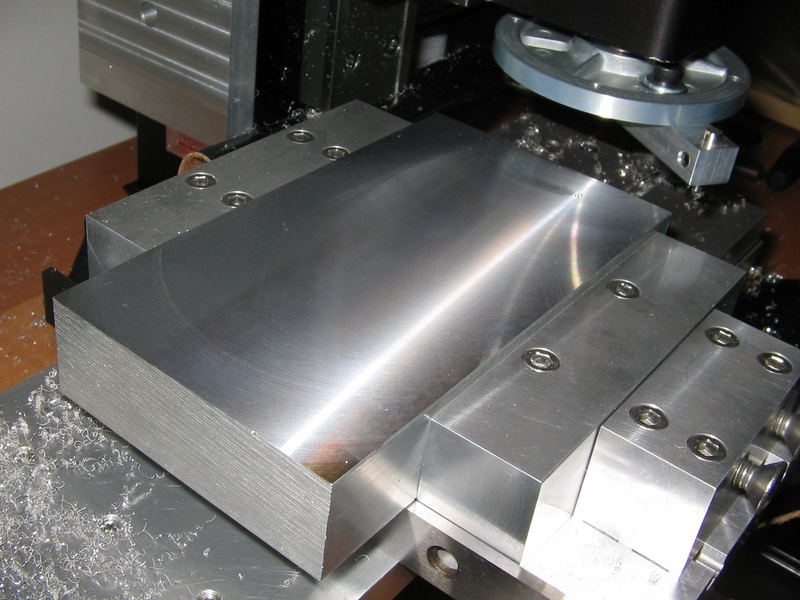 Have a faceplate base w/both roughing and finishing cutters. I already have a faceplate with 4 elongated holes, each 90° to the next. To me that would seam to correct the out of balance condition, or most if it. What do you think? In the update you said: “In the last working round I just note some upset behavior related to, I guess, thermal expansion. The DOC can increase, easily, 0.02mm after a couple of millimiters of feed. You can learn to deal with this, but now I think that a bigger mass cutting bit it’s a better idea”. I’m fairly new to CNC and I’m not quite sure I know just what that meant, especially ‘a bigger mass cutting’. Could you explain it to me? Hi!. Well, I build this thing as an easy solution for squaring up stock in the manual mill, so it’s ok for light cuts (about 0.1) but a higher DOC would require a more solid setup. Regarding the thermal expansion issue, my guess was that my tiny hss tool “expanded” a little bit after the first millimeters of cut, but probably you should not worry about this by now. And, BTW, the fly cutter in the link looks far better than mine; mine is just a simple, economic and fast solution. 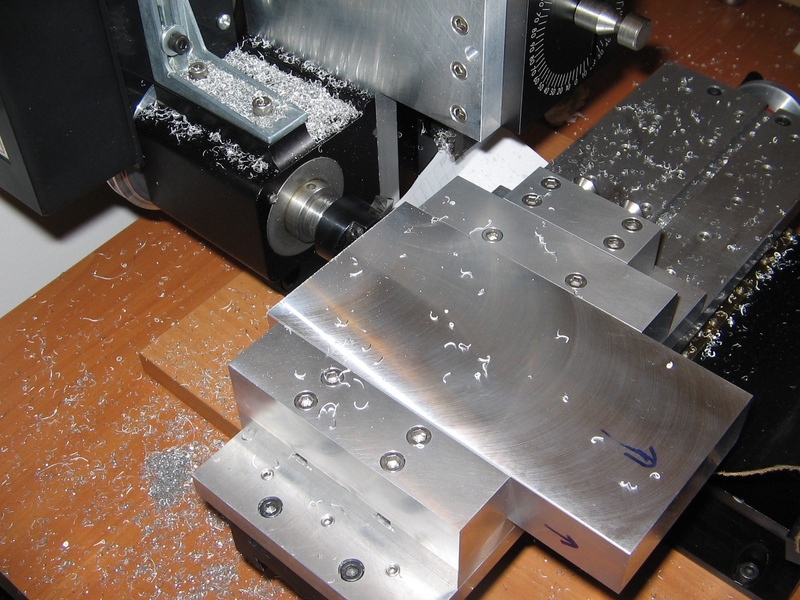 To be honest, now, when I work on the CNC I use a 3/8″ end mill for most of squaring up work; finishing isn’t as good as fly cutting, but it’s ok (less noise, less mess). Good luck! 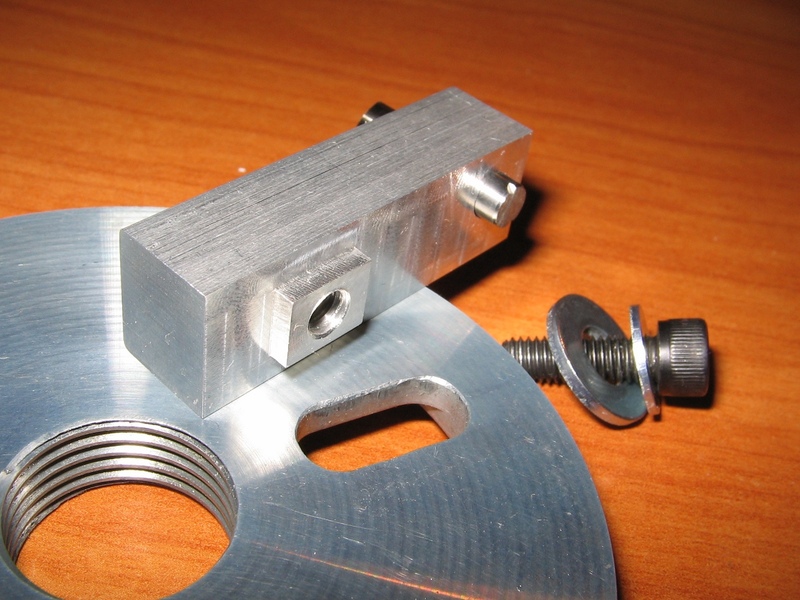 You could convert Sherline boring holder to an adjustable fly cutter instead of the face plate. As the bigger diameter the Sherline DC motor has less torque to drive. Sound interesting. Please send the pdf to ignacio.metaltronics@gmail.com. Thanks!